Two Republicans running to challenge U.S. Senator Tammy Baldwin have agreed to sign a pledge to support the eventual nominee. 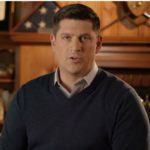 The Republican Party of Wisconsin issued the pledge to state Senator Leah Vukmir of Brookfield, and Delafield businessman Kevin Nicholson. The pledge also calls for the Vukmir and Nicholson campaigns to focus on defeating Baldwin, a veteran politician who is seeking a second term in the Senate after prior service in the U.S. House and Wisconsin state legislature. “Kevin of course will sign the unity pledge and he hopes that all Republicans will unite behind our nominee to defeat Baldwin,” said a spokesman for Nicholson. The candidate also tweeted an image of the signed pledge. In return for their signatures, the Vukmir and Nicholson campaigns will be allowed access to lists of the delegates who will decide the endorsement at the state party convention later this year. That process will be overseen by Wisconsin’s other U.S. Senator, Republican Ron Johnson, who released a statement in which he warned against allowing “national outsiders” to “meddle with” Wisconsin Republican politics. There is potential third Republican candidate, Madison businessman Eric Hovde. “The fact that Wisconsin Republicans need a unity pledge shows how nasty their primary has become, but — no matter who the nominee is — both Vukmir and Nicholson are willing put their billionaire donors and special interests ahead Wisconsin by driving up the cost of health care and working to cut Wisconsinites’ Social Security and Medicare,” said Brad Bainum, Democratic Party of Wisconsin spokesperson.